This chapter examines how FOX’s musical drama-soap Empire teaches about queer identities in the context of the black/African-American community and hip-hop culture. Although it appears to reinforce heteronormativity by heterosexualising its gay characters and by conveying anti-queer messages, Empire explores gender and sexual fluidity in a way that challenges social norms and ultimately presents a progressive image of queerness. In queering gender and sexuality, Empire also queers race and black masculinity. 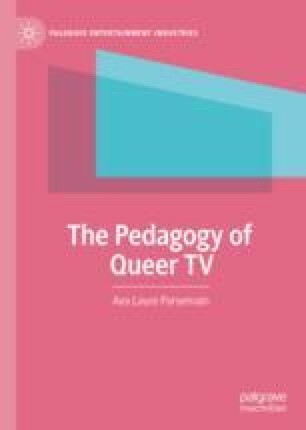 This chapter also explains how entertainment elements like music, the music video aesthetic, storytelling and melodrama are used as pedagogical tools to facilitate engagement and learning. Finally, it demonstrates that the series invites reflection and discussion in an open-ended way instead of teaching moral values in an authoritative manner.